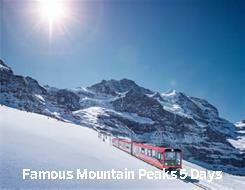 Breathe in the fresh mountain air while witnessing Switzerland’s most famous mountain peaks. On this tour you will spend two nights in Interlaken, the heart of the Bernese Oberland, followed by two nights in the charming village of Zermatt. 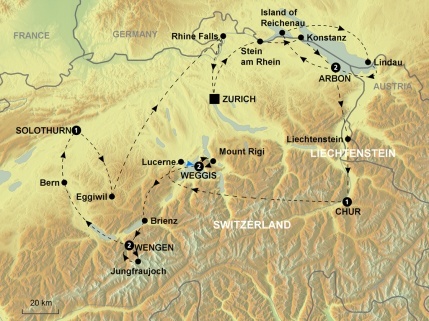 Upon arrival, take the train to Interlaken. Overnight in Interlaken.